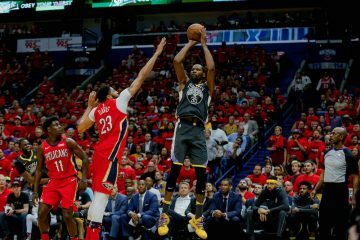 While many are focusing on Golden State’s fourth quarter rally as the key point of Wednesday’s win against the Clippers (and they have plenty of reason to think so), the part of the game that showed the true potential of this Warriors team came about an hour earlier. Early in the first quarter, Stephen Curry picked up two fouls in almost immediate succession, listed as six seconds apart but functionally instantaneous. Just two minutes and forty-five seconds into their most challenging game of the young regular season, the Champs had to play extended time without the MVP while the Clippers had the man Curry took the “Best Point Guard in the NBA” mantle from: Chris Paul. Simply staying close in that circumstance is an accomplishment for any team. The Warriors finished the quarter up six. Team building continues to be a riddle for NBA teams but Bob Myers and the Golden State front office may have been most successful at something seemingly basic: reaching a critical mass of talented, intelligent players. Shaun Livingston replaced Curry and played the rest of the quarter largely against the man who took his place as the orchestrator of the Clippers. CP3 did fairly well from a box score perspective, scoring seven points and handing out four assists. 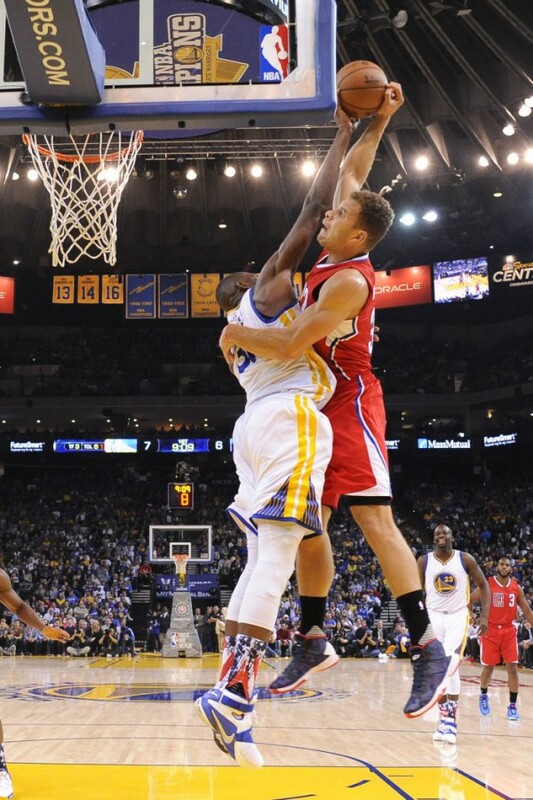 However, LA could not press their advantage and only led by three when Austin Rivers replaced Paul. 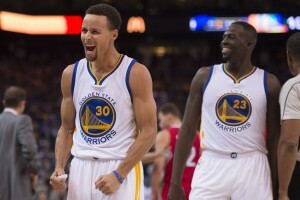 At that point, Golden State’s clearly superior second unit (or combination of players that were mostly non-starters) flexed their muscle. In the 3:29 after Paul left the court, the Clippers only two points: a Josh Smith score in the paint. After an awkward Marreese Speights dunk in transition, Golden State took the lead and did not trail again until the Clippers’ second unit’s shocking resurrection at the end of the third quarter. We know that this team can survive off nights from just about everyone. Klay Thompson struggled again to find his shot but still drew enough attention to generate open looks for teammates. 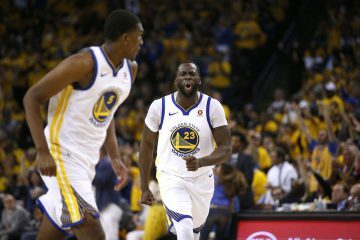 In his stead, Harrison Barnes had by far his best game of the season and actually scored ten consecutive Golden State points in the fourth quarter that took the game from 95-87 to 98-97. 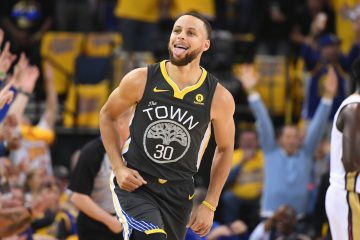 Stephen Curry ended up taking over late, making huge shots and hitting important free throws but the major lesson of this game was that this team can hang with legit competition without the league’s most valuable player. It helps when the other team’s second unit is a discombobulated disaster but that 9:15 told the league substantially more than just jokes at Austin Rivers’ expense. 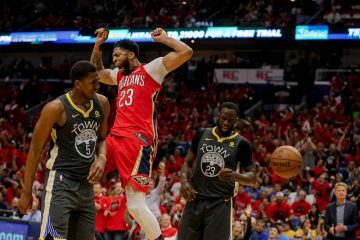 The Warriors faced an unusual sort of adversity and overcame it in a way that should give fans and foes alike a sense of why they are truly special both in the regular season and the playoffs: they have enough talent to beat anyone. The Oracle crowd was excellent tonight. As someone who covered the team then, this felt more like a 2009 or 2011 game than one in the more successful times and I mean that in the best way. Explosions for great plays, referee mockery and pure joy when DeAndre Jordan airballed a key free throw late. Tonight’s game was a trip back to the best part of the Cohan era. Festus Ezeli was great again. Blocking Blake’s dunk was eye-popping and helped set the tone but his ability to catch alley oops and crash the offensive boards gives the offense with the starters some different dimensions. While Andrew Bogut’s passing provides some fun wrinkles, Ezeli may actually cause opponents more frustration on that end. It was strange to see both Curry and Thompson get normal rest early in the fourth quarter despite playing less minutes than usual early in the game. Consistency is respectable and possibly even strangely admirable (plus, I just spent the bulk of this piece lauding how the team handled Steph’s absence) but they ended the game with 32 and 33 minutes played, respectively. The Clippers outscored the Warriors 6-0 during the potentially critical 1:04 (yes, it was that short) Chris Paul played and the Splash Brothers did not. Beyond the low minutes for Curry and Thompson, it ended up being a tighter rotation for the Warriors, with only nine players getting any minutes and the backups other than Iguodala on the floor for more than 17 minutes. That is another benefit of blowing so many opponents out- plenty of leeway for the games where it is needed. Even then, only Draymond played more than 36 minutes- Luke Walton just spread it well among that five and Iguodala. Lineups with Draymond at center continue to kill opponents. Granted, almost every Golden State lineup with Stephen Curry on the floor has dominated this year but that group can switch everything and create mismatches when they have the ball. Truly fun to watch.